By rights, the enterprising tropical biologist, a former graduate student of Pellegrino University Professor emeritus E. O. Wilson, should be dead. Many times over. Instead, his energy and oddly wide-eyed innocence have backstopped an eclectic career as an award-winning explorer, speaker, writer, and photojournalist. He travels at a moment’s notice, beholden to no one and nothing except his own desire to get up close to the creatures he loves—primarily insects and amphibians. Those “little things” are captured by his more than 500 photographs in National Geographic. He’s also given countless lectures and written 120 scientific journal and magazine articles chronicling his exploits and biological observations during the last 30 years. A few of those years were spent scaling the tallest trees in more than 40 countries to examine orchids, bats, orangutans, and other canopy-dwelling creatures for his first book, The High Frontier: Exploring the Tropical Rainforest Canopy (1993). Face to Face with Frogs (2008) also featured his photographs, as did the fascinating and critically acclaimed Adventures among Ants: A Global Safari with a Cast of Trillions (2010). Moffett built on that knowledge for his newest book, The Human Swarm: How Societies Arise, Thrive, and Fail (Basic Books), which was published in April. And Moffett’s sometimes goofy presentation doesn’t negate a serious side, as The Human Swarm reveals. Suspending photography and far-flung travels to hole up in his home office, “getting by on the fumes from the advance,” he took more than five years to write this sweeping examination of what enables human civilization to function (or not). The book draws on past and current research from philosophy, anthropology, psychology, and biology, along with his own studies of ant and other animal societies. Moffett looks at traditional theories of how and why human societies evolved—because Homo sapiens can deliberate, coordinate, and collaborate—and proposes an even more fundamental reason: humans’ distinctive manner of establishing identities. These identities, based on markers ranging from clothing and accents to occupations and ethnicities, enable humans, he says, to immediately determine whether another human belongs—and then, potentially, to move beyond that single critical factor. Moffett’s focus on who, or what, “belongs” began with the ants crawling through the backyard of his boyhood home in Colorado. The ones he befriended as an introverted, reclusive child. His family later moved to Wisconsin, where, at age 12, he joined the state herpetological society, and easily communed with adult scientists. High school felt limiting, so he left, and then began helping on research conducted by professors in the biology department at Beloit College (where his father was a career counselor). 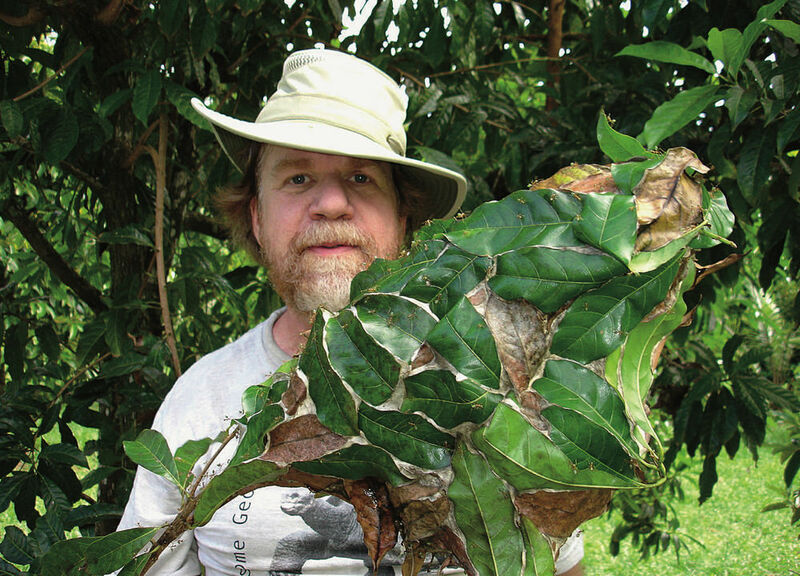 The lack of a high-school diploma didn’t keep Moffett, a fierce autodidact who swears he’s never taken a course in entomology, from attending Beloit and graduating Phi Beta Kappa, with a degree in biology, in 1979. During his senior year, long entranced by The Insect Societies, E.O. Wilson’s seminal 1971 text, he simply wrote the professor, who invited him to visit. As Moffett remembers it, the two men were quickly down on Wilson’s floor among opened books and specimens. (The Museum of Comparative Zoology [MCZ] holds close to a million ants, the largest collection in the world.) That led to Moffett’s tenure as a graduate student in the department of organismic and evolutionary biology under Wilson’s tutelage. There his research took off, literally. Rummaging through the MCZ’s specimen drawers, he “struck gold” with a case of marauder ants. He was excited by the species’ dramatic polymorphism—the varying sizes and shapes enabling them to perform diverse tasks in a complex society, which hadn’t been adequately studied—and quickly proposed that as his research subject. Before leaving, knowing he’d have to document the creatures he found, Moffett taught himself photography. And then, while traveling in India, he mailed his first six rolls of film to National Geographic, where the pictures landed with an appreciative editor; in 1986 his stunning images were published with a feature on those marauder ants, thereby launching his 30-year career as an ecological photojournalist. 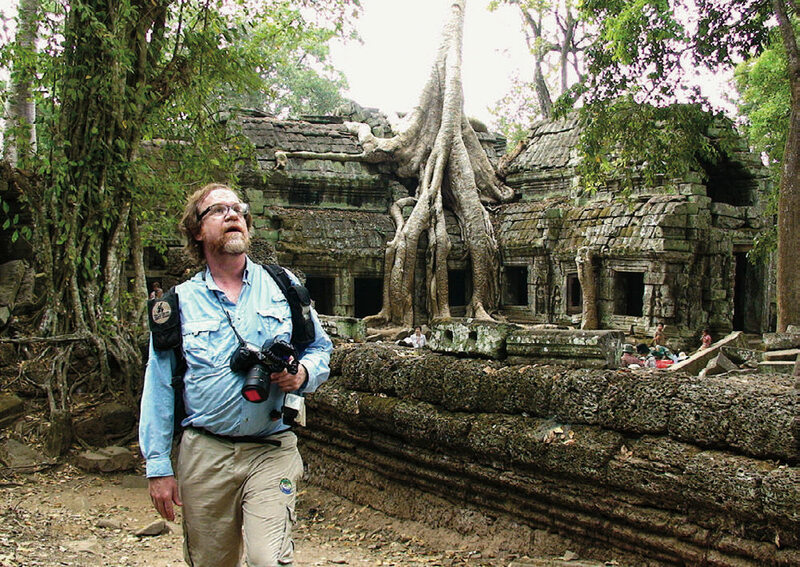 He traveled and worked for the magazine through the 1990s (and beyond) while he continued as MCZ research associate and associate curator of the ant collection. He was next a visiting scholar at the Museum of Vertebrate Zoology at the University of California, Berkeley, from 1998 to 2006, before moving back east, and becoming an entomology research associate at the Smithsonian, and later in human evolutionary biology at Harvard. 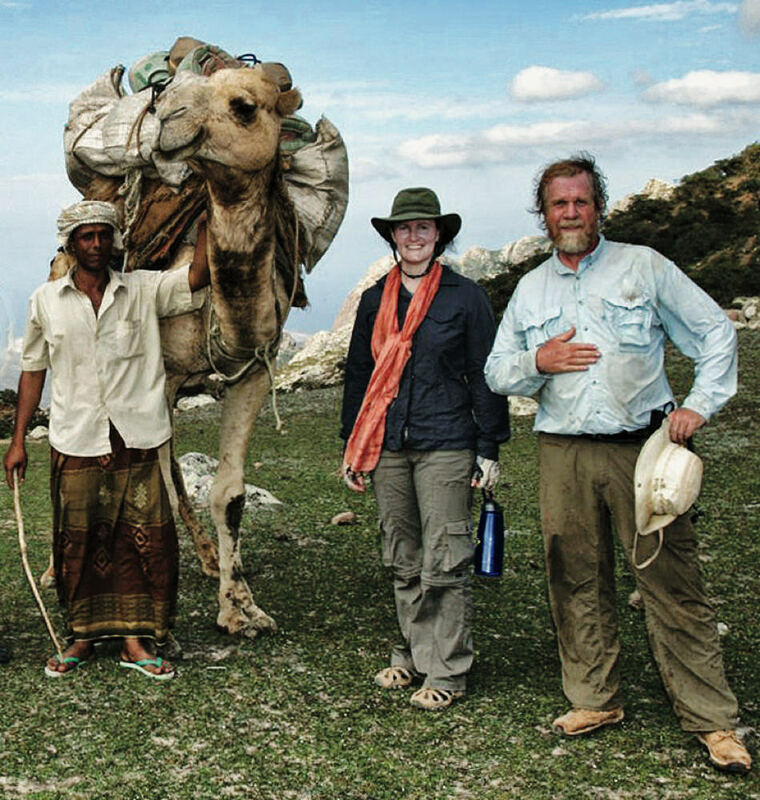 Moffett’s photojournalistic and other achievements are due less to any love of the medium (“I don’t care about photography except when it’s useful to the story I’m telling”) than to his ability to ignore or, more accurately, hardly notice conditions that others find inviable or repellent: stiflingly hot, wet jungles; months of subsistence-based, nomadic camping and trekking or bushwhacking—through swamps, deserts, and mountains, at times getting completely lost. And, an essential intimacy with scorpions, spiders, biting ants, leeches, and parasitic botflies. (The botfly species Dermatobia hominis can deposit larvae under human skin; a 2010 video, shot at Harvard and now available on YouTube, shows a botfly maggot emerging from Moffett’s hand, 10 weeks after the eggs were laid in Belize.) He can also sit still anywhere for as long as it takes to get what he wants. Once, documenting a beetle for a researcher in South America, he watched and waited, jotting down notes: “It’s moved an inch. And its antenna is drooping.” Eventually, “it moved and found its burrow,” he adds, which “made for an exciting conclusion to the story.” But it did take 10 hours.